Being member-owned, Village Canadien's operating policies are decided through a democratic process. There is no landlord, thus no profit-motive. Housing charges are based on operating costs only, this means fine quality homes at a fair monthly charge. We are situated in a beautiful park-like setting along the Red River. Conveniently located nearby are schools, restaurants, a community club, a hospital, a major bus route, and the St. Vital Shopping Centre. Construction commenced in June 1975 and the first two members moved in on July, 1976; the Labossiere and Comeault families. More recently, many families and individuals have experienced the cooperative lifestyle of VCCL. We have now been in operation for over 40 years. Since then, our cooperative decided to expand its horizon in approving for an expansion of the existing 150 townhouse unit project on River Road & St. Mary’s Road. 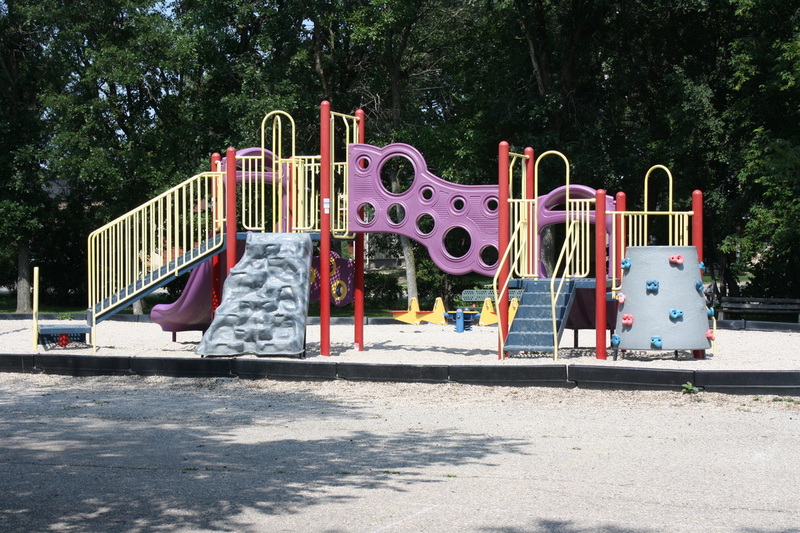 We offer a large playground featuring swings and a climbing structure.